Summer is that lovely time of year when we like to stick our feet in the sand and switch shoes for thongs! And we all love them- they are comfortable, cool in hot weather and go with everything. But do you know….thongs are actually bad for your feet?! 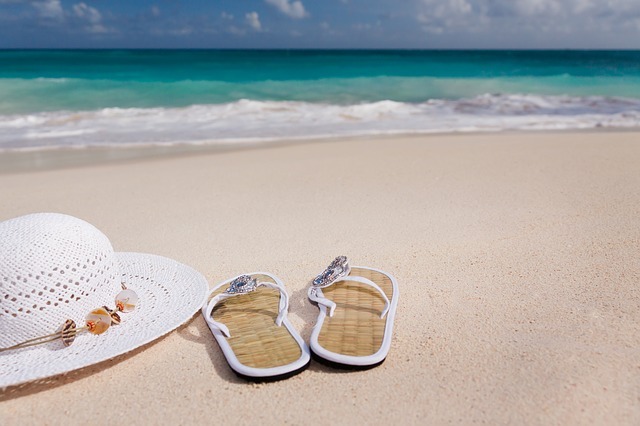 Podiatrists and other medical professionals warn of the dangers of wearing thongs too much during summer as they offer zero support to your feet. Worse than that, they can actually cause more issues as your foot’s arch is not supported, they offer little to no cushioning on your heel and when walking, can cause you to grip on with your toes that causes tightness in your foot and lower leg. Our physiotherapists recommend wearing shoes with arch and ankle support, switching up the shoes you wear (don’t spend all summer in your thongs) and spend some time at the end of the day doing some stretches for your legs and feet to make sure your stay loose and limber. 1) Calf stretch- sit on the ground with your legs flat out in-front of you, with a straight back- lean forward towards your toes (as far as is comfortable). Swap over and do the same for the other leg. 4) Ankle rolls- lift up one leg in front of you, roll your foot around clockwise and anti-clockwise. Do for both feet.